From our experience the Great East Japan Earthquake in March 2011 to help out the people in the affected area in terms of IT support such as internetworking and providing PCs, we came across an interesting issue concerning collaboration with people including supporters as well as the victims. We call this problem disaster communications. We also came to know the needs for disaster information processing as there was no such systems to manage shelters, goods distribution and volunteers. On the other hand such systems have been researched in the United States of America and Europe in terms of information processing for emergency management to a great extent. 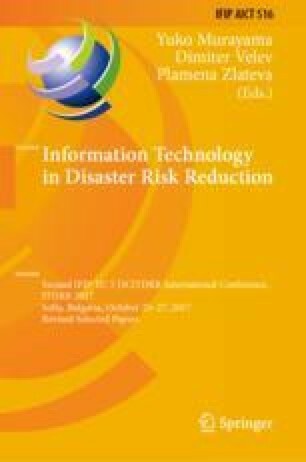 While we have had many natural disasters in Japan, only a very few of the researchers in computer science and information systems have been working on this issue. From this perspective, we try to identify the information required at disaster in this research. In particular, we explored the needs and seeds for disaster information processing in Iwate, Japan. We interviewed some supporters at Iwate in March 2011 such as local government officials, doctors and university administrators and found the situation awareness was required desperately in the beginning of the disaster. This paper reports our project of interviewing people who worked on disaster relief during the emergency response as well as our trial of a system for situation awareness based on the results from our interviews.